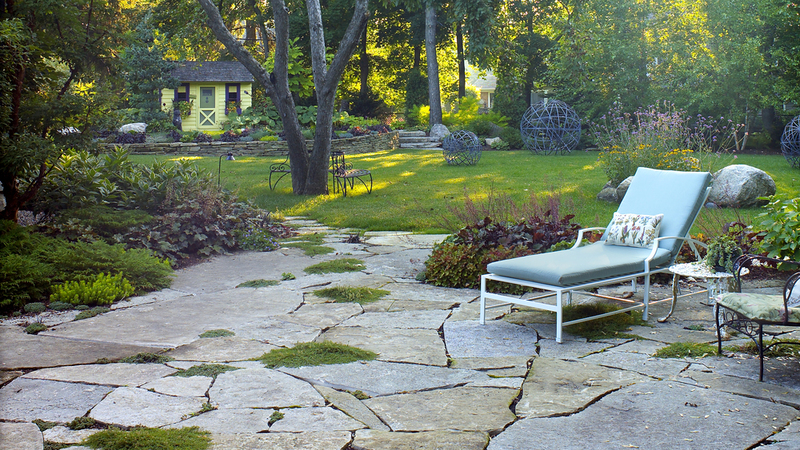 This relaxed landscape theme features a stone terrace, rustic walking paths, hand-stacked retaining walls and textural plant material. A child-scaled playhouse provides a charming focal point and is skillfully integrated within the garden’s spaces. The beauty of this project resonates as one experiences the graceful and subtle transitions from space to space.